Celery is good for you and delicious when it’s crisp and fresh from the garden. If you’re just planting, you may want to know the names of plants that grow well with celery. These include other vegetables as well as attractive garden flowers. Read on for more information about companion planting with celery. 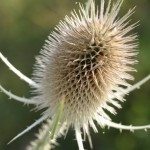 Companion planting is an important part of integrated pest management in your garden. Deliberately planting crops together can work to bring balance to your garden. 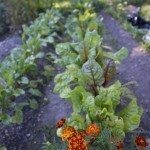 The idea of companion planting works on many levels to improve your garden’s ecosystem, including discouraging insect pests without applying potentially harmful pesticides. Experts advise that certain plants will grow well in a garden bed with celery, and that others will limit your crop. 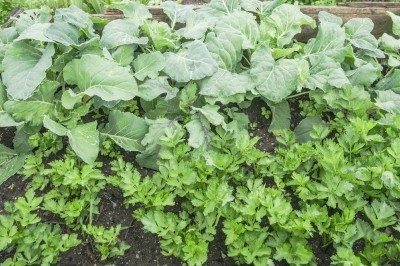 While individual results may vary, generally you’ll want to select those plants that grow well with celery for celery companion plants. You can plant these veggies in the same bed with celery without any harmful consequences. Moreover, the plants assist each other. For example, the cabbage white butterfly is a pest that attacks members of the cabbage family. The insects are repelled by the scent of celery, so cabbage planted near celery benefits. Experts claim that these lovely garden flowers drive off many insects that could harm your crop. At the same time, they attract helpful predators, like parasitic wasps, that eat the other insect pests. When it comes to companion planting with celery, it is also important to recognize the plants you should not grow with celery. These are plants that somehow impede the health or growth of celery. Some also include carrots, parsley and parsnip on the list of plants that don’t make good companion plants for celery.